Mar. 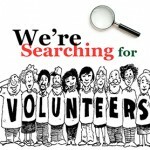 5, 2015 – Where do you get your science? 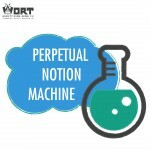 In tonight’s pledge drive edition of the Perpetual Notion Machine, PNM reporter Matthew Zmudka asked the question: “Where do you get your science?” The most obvious answer for our listeners is, of course, the Perpetual Notion Machine, broadcast on WORT-FM, listener-sponsored community radio. But Matthew added that science can be presented to the public in other ways, and false or misleading information can also be presented that’s not scientifically based. Matthew talked with Lee Bishop about the Madison College Nerd Nite. Also, in an edited clip from PNM’er Bill Scanlon’s interview of John Tempte, Chair of the Wisconsin Council for Immunization Practices, misleading information about vaccinations can lead to the spread of disease. And finally, Matthew provided his personal experience with the Massive Open Online Course (MOOC) “Changing Weather and Climate in the Great Lakes Region.” This will be the topic of a show in the next few weeks. Thanks for everyone’s support to PNM and to WORT! Presenting Science to the Public . . . and Pledges!